I use bags like this to carry yarn when I make medical stroller blankets I then donate to Give Kids The World. i love this! the sizes are perfect, and the prices are great. and i love that both resorts have incorporated reusable bags, with park-specific designs. i already have all the ones at disneyland resort, and can’t wait to hunt them down when i visit WDW later on this summer. I am visiting Disneyland in a few weeks and was wondering how much each bag was? This is not that big a deal. Just an option if you choose to purchase and use a reusable shopping bag during your stay & cute to have after too! Glad to know the other bags are still available and 100% recyclable. Just in case!! I always made a point to put mine in the recycle bin in my hotel room at Pop. 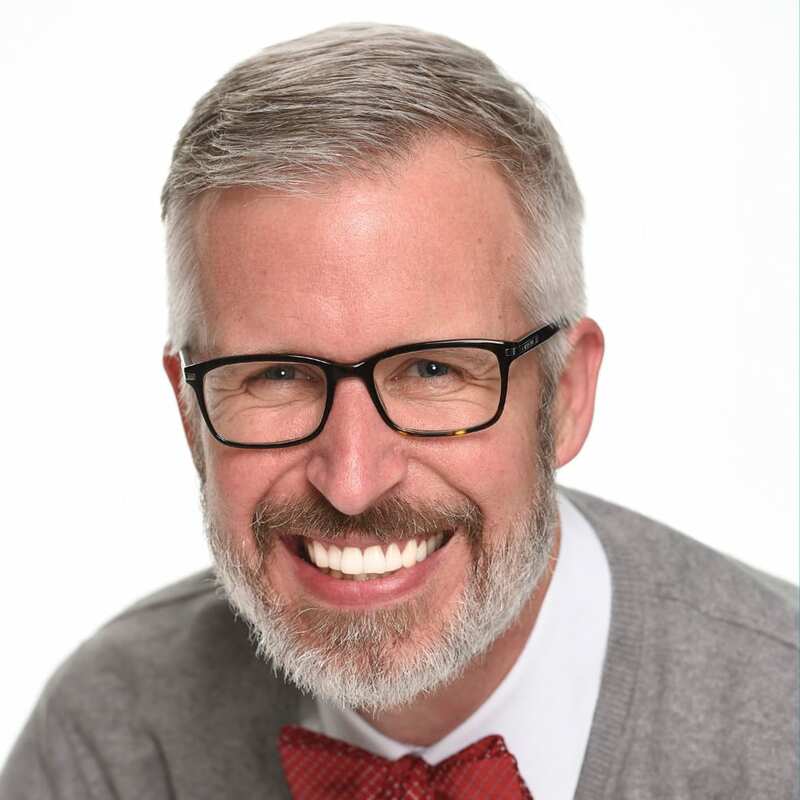 I cannot figure out why I am no longer receiving this blog?? Do you have to go to the individual parks to get the bags for that park? For example, can I get a Magic Kingdom bag at EPCOT? Are the resort bags sold in the parks or only at the resorts? It’s a nice option for those that live close by and have the option of reusing them for multiple trips to the area. Thank-you for not ridding the parks with the regular bags you provide gratis. 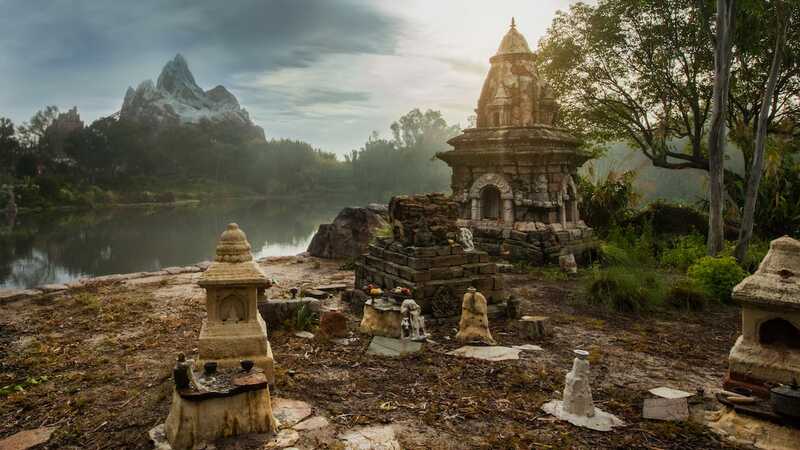 It would be an added burden to remember to bring them along to the parks when we buy something on the spur of the moment during our vacation. I am 100% all in for caring for our planet and realize they pose a hazard but this doesn’t necessarily stop people from discarding of these irresponsibly either. It’s a nice keepsake but we prefer the bags given at time of purchase and we recycle them. Besides your regular bags are quite cute and we save some of them for other uses too. I’m from Australia and I don’t mind the idea as they are like another souvenir. I like them. 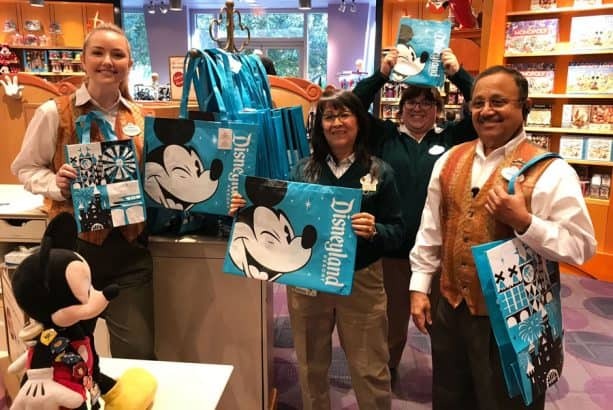 How long will you be offering these reusable bags at the Disney Parks ? Will the regular plastic shopping bags still be available at no charge or will the reusable shopping bags be the only option other than carrying your purchase in your hands? This was the case recently at a local Disney Store where I was told the reusable shopping bag was the only option other than to carry your purchase in your hands or bring a bag from home. Is this correct? If that is the case I believe an email should’ve gone out to everyone with a Disney account informing us of this change ahead of time. While making a purchase during the busy holiday season I felt I had to to purchase the reusable bag. @John – The new reusable shopping bags are another option for Guests looking for an alternative to using plastic shopping bags. The latter are still available at Walt Disney World Resort and Disneyland Resort and are 100% recyclable. So, instead of getting a free bag for my purchases, I have to spend 2 bucks? Which means I have to carry bags with me, if I need a bag. And this benefits who? @Ralph – We continue to offer complementary plastic shopping bags for your purchases, which are 100% recyclable. The reusable shopping bags available for a nominal fee are another option for Guests looking for an alternative to using plastic bags. May I ask how they will ship our purchases at the parks to our rooms! How much are they ???? @Iain – The bags retail between $1-$2 depending on size. Please note all retails are subject to change without notice. Just to clarify, does this mean I can bring the bag I got at my local Disney store last Christmas, and use it for purchases in the parks on my upcoming vacation? Or buy one in the Magic Kingdom and use it the next day at Epcot? I have used resuable store bags for my groceries for a few years, so I’m cool with this. @Noelle – Glad to hear you are a fan. 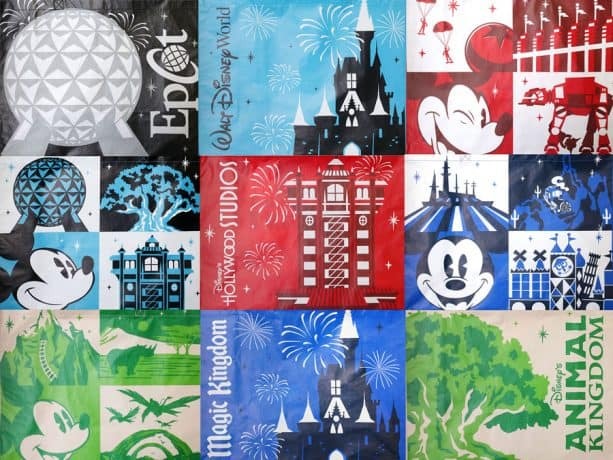 The bags look great and are very useful at Disney Parks and at home. 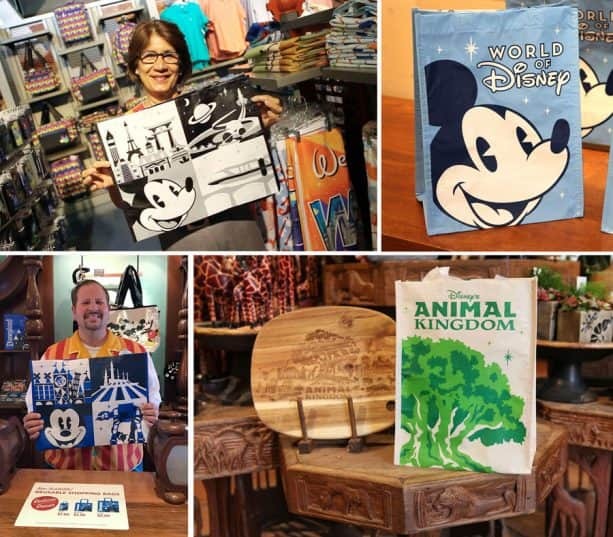 You can bring a bag from the Disney Store to carry purchases, or pick up one of the new reusable bags from Disney Parks. The important thing is that you have options.